Growing green beans is one of the best ways to reduce animal protein. 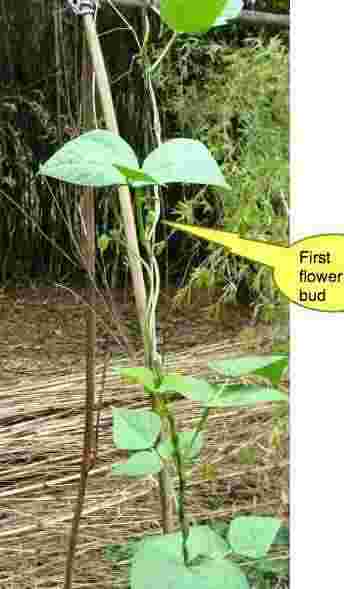 Growing green beans is an easy way to significantly improve your overall health. With the abundance of research coming out about how our reliance on animal sources for protein, and especially red meat, is one of the main causes of cancer, we should all be thinking of alternatives. Metastatic disease doesn't just happen to other people; it can happen to you and me if we break the rules; and that means more legumes in the diet. Recent research from the Harvard School of Public Health, after following nearly 30,000 cancer free men for 15 years, found that those who ate an average of 2.5 eggs plus per week or more had an 81 percent higher risk of developing advanced prostate disease compared with those who ate only a half or less. Now, whilst one could shoot holes in that research, it does make one realise that too much animal protein creates an awesome risk of malignancy. What's the problem with that research? Well, men who eat less than half an egg per week, are likely to be health nuts. They are probably also into oats and fish, for breakfast for their protein, Boston baked beans and hummus for lunch, and tofu for supper, all five of which give protection against cancer. Another interesting thought is whether men who ate them fried with bacon were affected in the same way as those who enjoyed eggs Florentine; on a bed of spinach. And was there a difference between those enjoying the eggs from pasture fed hens, and caged birds fed on a diet high in hormones? These are known as confounding factors, and were not considered; frankly, I'd take that research with a pinch of salt. It's only an anecdote, and of no clinical significance, but my urologist phoned me recently, astonished, to report my PSA was only 0.9; that's dangerously low! 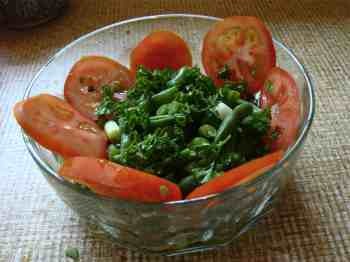 I eat seven eggs a week at least, but zero processed meat and a heap of dark green leafy vegetables. We are growing green beans of one sort or another year round in our garden. I think that Harvard research needs to be revisited. Even the American Heart Association is now recommending more eggs, particularly for the choline, so deficient in many diets; it prevents homocysteine from damaging the inner lining of the arteries. We need however to be skeptical of even our own skepticism; writing this egg research off to lies, damn lies and statistics could be very misleading. Growing green beans is essential with all the research about animal protein causing breast and prostate cancer; think legumes, recommends Chiropractic Help. 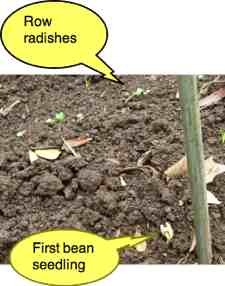 All beans are full of vegetable protein, phytosterols too, and really are very easy to grow, even in the smallest garden. What are phytosterols and why are they so important? Betaine and choline are phytochemicals found in green beans that protect the cells against oxidative damage by reactive oxygen species. Researchers at FAO have been busy researching proline, betaine and choline. Google appears to frown on too many links, so phrases in bold, like that betaine and free range eggs above, and garden trellis below need to be put into the Site Search function in the navigation bar on your left if you want more information. Ignore the spinach plant in the foreground below; I left it for seed. 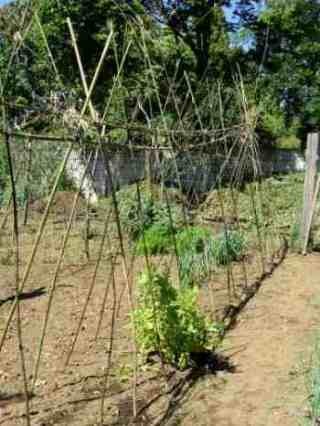 This is the vegetable garden trellis on which I grew my first crop of pole beans. The advantage of a movable trellis like this is that you aren't growing your legumes year after year in the same soil; they definitely demand crop rotation. It's easier to weed around them as the foliage is much higher. They bear for a much longer period. The harvest is more than double. They're much easier to reap. They take up much less space, perfect for the small garden. Clear a piece of ground. Dig two trenches about 3' (1m) apart. If you have any compost available, half fill the trench. Otherwise a couple handfuls of fertiliser. Press your bamboo (or other) canes at least 30 cm into the ground, in two rows about three feet apart. The poles at the ends need to be deeper and stronger, in case of strong winds. Roughly two feet between the poles in a row; it's not critical. Angle them towards each other so they form a teepee. Thread one or two long canes, parallel to the ground, in the V formed by your canes. Run another cane parallel to the ground in the lower part of the V, and tie the whole structure firmly with heavy twine. Get your teepee neat and straight and then firmly press the soil around each pole/ cane with your boot. 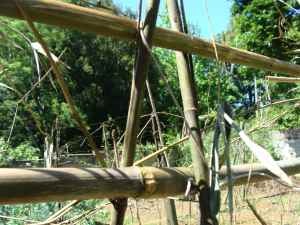 Plant a seed on either side of each cane, one side of the teepee immediately, and the other side perhaps a month later. We're going to have an abundance of green beans for the whole summer. I planted a row of radish down the middle. They will be ready (4 weeks) before the beans start to shade them. Remember all veges demand full sun. 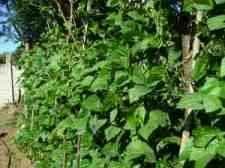 A fixed wire fence for growing your pole beans is obviously more stable, but it's not healthy to plant the same crop, year after year, in the same ground. After a crop of summer beans last year (below), followed by winter peas, both legumes, I've decided to rotate the crop. This year there is maize growing along this fence, taking advantage of the nitrogen that legumes fix into the soil. Bush beans have only one advantage. They bear much sooner than the pole variety, so growing green beans in the larger garden means planting both a couple rows of bush AND pole beans once the danger of frost is over in early Spring. Growing green beans (bush) has several disadvantages: with all the stooping to reap and weed them you're going to be visiting the chiropractor more frequently, and they bear for a much shorter season. But the fruit matures a good month earlier. 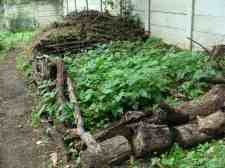 In the picture below, I've actually planted them right into the compost heap, see how they are thriving? but what you'd normally do is dig a small trench, and half fill it with compost, covering with the soil you dug out. Sow the seeds about an inch deep, and about 6" apart, in rows about 2 feet apart. (3cm, 15cm, 60cm). Or just dot a few seeds about amongst your annuals. They will fruit in about two months. Sow again about two weeks later. 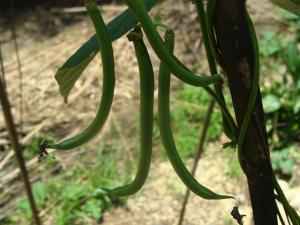 There's no point in planting again a third time as the pole beans will be fruiting by the time your third planting of bush beans are ready to harvest. 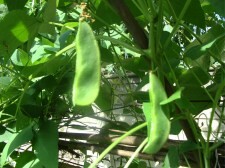 Remember at the end of the season of growing green beans to keep back a few pods for seed. And save only the best; those that are shrunken or discoloured will give you miserable plants. Save bean seeds, and you'll be a good few dollars in pocket too. I'll be adding photos as these pole beans shoot up, every couple weeks. Meantime, you get started with your own. Just three seeds in any sunny part of the small garden is fine; up a rose trellis? Witsa is our favourite variety; avoid Lazy Housewife; it's tasteless. Some things never cease to amaze. Like a full moon, seen a thousand times, the first bean breaking through the earth is sight to behold, so full of promise. In summer, green beans and, in our mild winter months, the broad variety are our favourites; provided they are picked and enjoyed young they are delicious. It's good to grow a quick crop like radish between your slower maturing veggies. Why all this about growing green beans on a chiropractic help website? Because nasties from the breast and prostate and, no doubt many other organs, caused by a lack of certain vital anti cancer nutrients like phytogens, have a predilection for the ribs, cervical spine and pelvis. Averting cancer through healthy living tips is at the heart of Chiropractic Help. Astonishing, one tiny little white seed, and now just eight weeks later we have a 10 foot beanstalk fit for Jack. And in two weeks we'll have fresh green beans, straight from the garden. For interest, I'm going to count how many beans this plant produces. Fifty? Exercise for the body, commune with Mother Nature and her Creator in the garden, watch the birds and the bees at work, good wholesome food on the table, much less prostate and breast cancer; what more can we possibly ask for than growing green beans? 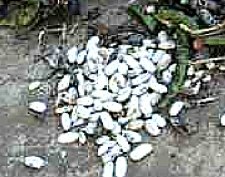 Mexican bean beetles can decimate your crop when growing green beans; they reproduce at an astonishing rate, devouring the leaves and biting the beans themselves and ruining them. Look out for the adults and the Mexican bean beetle larvae. The new crop is up this spring and already a metre high; it's the first year since we acquired hens. So far, so good; there's no sign of the pesky beetles and we're hoping the chickens have scratched out most of the larvae from where they were over-wintering in the mulch. It's looking like a success story; there are some signs of the Mexican bean beetles, but not the overwhelming damage that destroyed our beans over the last few years. We feel encouraged to plant more this summer. Healthy living tips give you a realistic chance of reaching your eighties with all your marbles and joints intact; growing green beans is only a small part of that, of course, but very significant. Aside: America and Holland have the highest rates of breast cancer in the world. One is seven women. But it's not Russian roulette - research done in Holland confirms that it's too much animal protein that is the main cause. That and hormones after menopause - don't take them except in VERY EXCEPTIONAL CIRCUMSTANCES. Like severe depression... I don't buy into taking particularly the combi hormones to prevent osteoporosis. Rather walk to strengthen your bones, than get uterine or breast cancer. 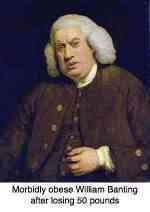 Good health is not a matter of chance; nor of good or bad luck, in the main. It's about following the known rules of life, and many of them you'll find at our healthy living tips page. A large part of that initiative is about slowly replacing the red meat in your diet with fish, fowl and legumes; that's where growing green beans comes in. The breast cancer health initiative came about when scientists realised one in seven women were suffering from this nasty, often terminal disease; prevention is better than a cure, and growing green beans is part of the solution. Two very large studies of post-menopausal women taking either estrogen alone, or estrogen plus progestin, were stopped when it became obvious that the risk outweighed any benefits of post-menopausal hormone use. Those risks? 29% increased risk of stroke, and a 56% increase rate of death or dependency due to stroke. WALK RATHER, AND EAT A HEALTHY DIET! Try growing green beans. I counted 45 tiny bean pods ON ONE PLANT yesterday, and each pod contains half a dozen bean seeds! Growing green beans. Sublime! I said above that the crop from a climbing bean is double that of a bush bean. 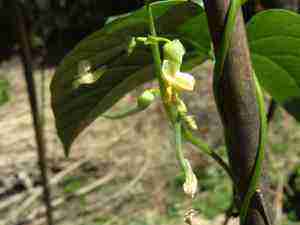 But now I reckon that each climbing bean will bear several hundred beans over the next two months. Thirty fold, sixty fold, hundred fold, two hundred fold... there's something biblical about our first fruits! 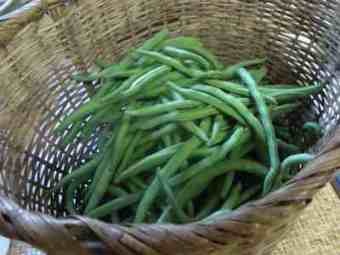 What could be more rewarding than a basket of fresh, young green beans, straight from the garden? I promise you, growing green beans is very rewarding, and not difficult; the worst is having to wait about two to three months. Boil them hard for two to three minutes, depending on how crunchy you like them. 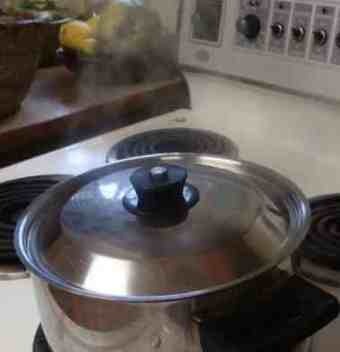 Can you see the steam escaping from the pot? Make up a sauce for the fruit of all that Growing Green Beans; start with a good slosh of olive oil benefits and pour in just a tad of the bean water, add salt, and perhaps a teaspoon of raw honey, and dribble the juice from the fruit of growing lemon trees to which I like to add a finely chopped clove of garlic and a touch of very finely chopped chilli. Some like it hot! How to grow chilli. Google appears to frown on too many links, so phrases in bold, like that chili above, and choline below, need to be put into the Site Search function in the navigation bar on your left if you want more information. Choline is a very important vitamin; the average Western diet contains less than the half the recommended amount. Whilst eggs are the richest, a cup of green beans has about one fifth of that in an egg; we need to look to all choline food sources to significantly increase our intake. Google appears to frown on too many links, so phrases in bold, like that lima beans and succotash above, and broad beans and lutein below, need to be put into the Site Search function in the navigation bar on your left if you want more information. Broad beans are another legume that is not difficult to grow in a mild climate; they fill the gap between peas in the winter and growing green beans in the summer. Enjoyed young, straight from the garden they are delicious; like most veggies, when old they are awful. How to plant broad beans will interest if you should you be trying to reduce your red meat consumption, but still need plenty of protein. Macular degeneration is a serious and oft completely unnecessary cause of blindness in the older person; it's caused by a deficiency of two carotenes called lutein and zeaxanthin. The good news is that growing green beans is a large part of the solution. One other not unimportant benefit of legumes are their ability to put nitrogen back into the soil. Actually it's nitrogen fixation bacteria that live in little nodules on the roots of legumes like green beans and limas that produce the nitrogen. Nitrogen is vital for us; it's the basis of the amino acids in our bodies, and vital for other plants in the garden. Growing green beans, growing lima beans, more chickpeas and lentils... they all improve your health and with a bit of imaginative cooking are delicious. 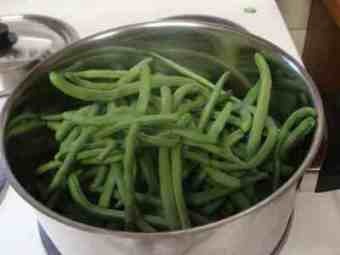 More about cooking green beans at this site. Google appears to frown on too many links, so phrases in bold, like that cooking green beans above, need to be put into the Site Search function in the navigation bar on your left if you want more information. Selenium is a vital element in the fight against prostate malignancies. Growing green beans makes an important contribution in reducing red meat and increasing the elements like selenium for your prostate gland health. Why on earth is there a page on growing green beans at chiropractic help? It's simple; prostate and breast cancer spread to the bones and can walk into a chiropractor's office on any day.